The back-story: read more on free trade vs fair trade. 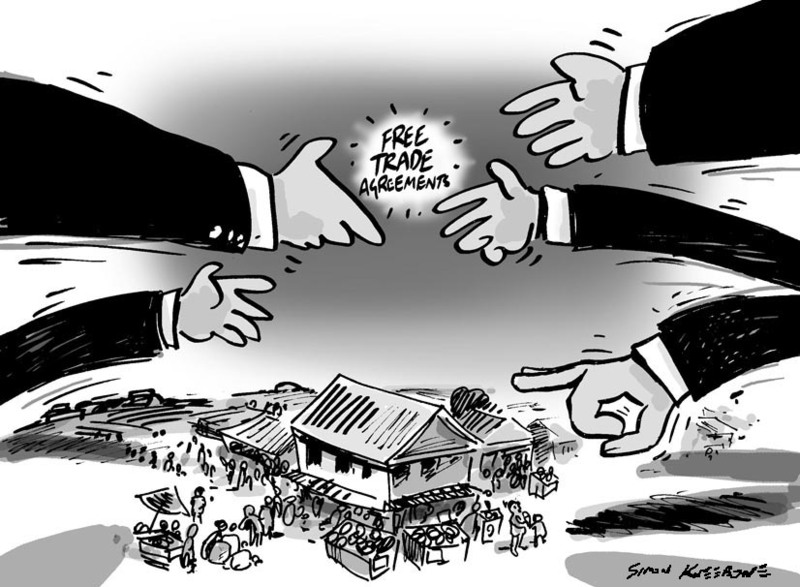 This entry was posted in Cartoons and tagged capitalism, cartoons, fair trade, free trade, tariffs by Simon Kneebone. Bookmark the permalink.